Cuba is a place of fascination for many, with its history of struggle, its revolution, its arts and its complex racial relations. It offers an ideal scenario to examine similarities and difference in how race is understood in the United States and in Cuba. This will be a unique opportunity to understand and observe the contributions of biological and social ways of thinking about the concept of race in a setting quite different from that of the United States. 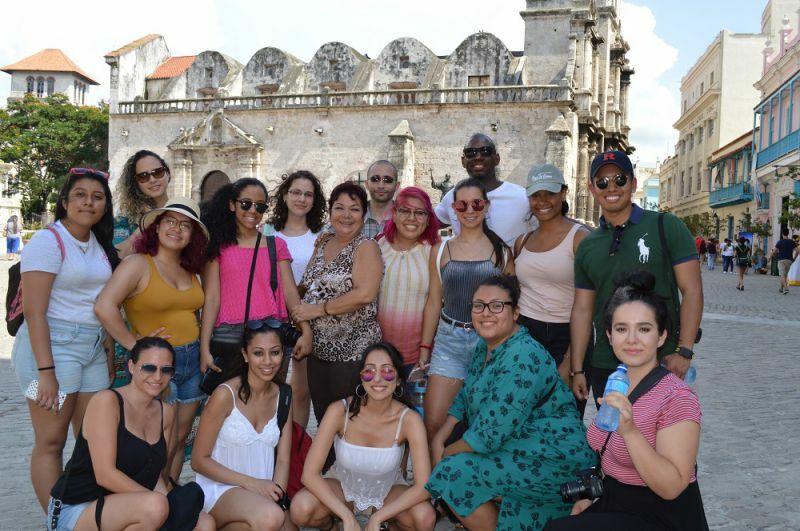 In addition to the course's theoretical framework, the program will add several opportunities to discuss with Cuban academics, Cuban college students, and people from different socioeconomic strata and political experiences. Information sessions will be held from 1:40-2:55 (community hour), in the New Building, room 1.76. 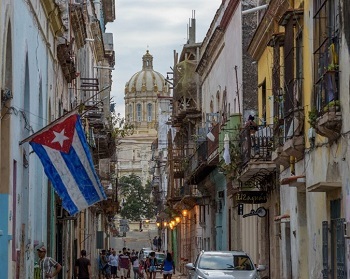 Genomics and Race in Cuba and the USA (3 credits): This course will introduce the concepts of genetic analysis and how this can be applied to our understanding of social factors such as race and ethnicity. Students will explore the structure of the genome using comparative and functional genomics. They will learn the basic concepts behind genome wide association studies and its applications. Students will be able to apply these concepts to the understanding of race while discussing its sociological and scientific definitions. They will discuss how the definition of race in the Cuban and US societies differ. They will also explore how these different societies are impacted by the “scientific” definition of or understanding of race. Housing: Students will stay in double-occupancy accommodations. Fluctuating exchange rates and other fees may lead to program cost changes. 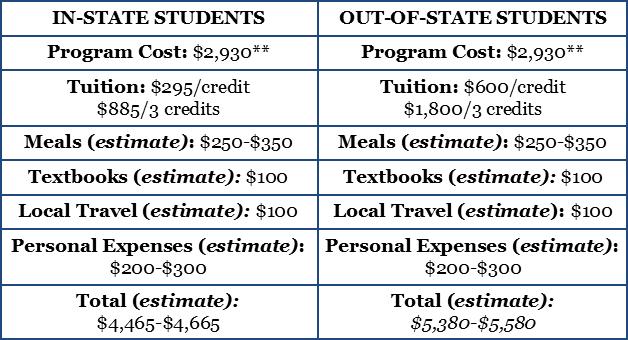 Program cost is based on a minimum number of participants for the program. Students should discuss applicability of financial aid with the Financial Aid office. All CUNY students must meet with their study abroad advisor to be sure the proper e-Permit registration process is followed. Refund Policy: Payment of the program deposit indicates the student understands and agrees to the Office of International Studies & Program’s payment and refund policies. Students who withdraw from a John Jay College program after confirming participation, but before the program begins, will lose the non-refundable deposit and any unrecoverable costs: students will be refunded 50 percent of program fees 30 days prior to the program start date, and 25 percent of program fees 14 days prior to the program start date. After the start of the program, no refunds will be provided, and the student is responsible for all program fees. If the program fee is not paid in full, there will be a hold placed on her/his CUNYfirst account. For faculty-led programs, tuition refunds will be granted following the College’s policies. For more information, please visit: http://www.jjay.cuny.edu/understading-your-financial-obligation. College-based funders retain the right to recoup funds from the student account if the student does not follow rules of the CUNY Travel Waiver & Release Form, uses the funds for other purposes, or withdraws from the program. Students must understand that they are responsible for full payment of the amount owed to the department. The Office of International Studies and Programs (OISP) has the right to modify or cancel the program, including changes to the program dates, costs, scheduled visits, program itinerary, etc., as dictated by economic and/or political situations, etc. Students are responsible for purchasing their own airfare, and for their itinerary. Due to possible changes in program dates/itinerary information, students are not to purchase airfare until prompted by OISP. Students are encouraged to apply early, due to limited space. Information is tentative, and subject to change*, **program cost(s), syllabi, *dates, etc. will be doing, and if you are traveling from a country other than the US. More information can be found on the Center for Disease Control website. Should be up to date on routine vaccinations while traveling to any destination. Some vaccines may also be required for travel. You can get typhoid through contaminated food or water in Cuba. CDC recommends this vaccine for most travelers, especially if you are staying with friends or relatives, visiting smaller cities or rural areas, or if you are an adventurous eater. CDC recommends this vaccine because you can get hepatitis A through contaminated food or water in Cuba, regardless of where you are eating or staying. Applications are available from the Office of International Studies & Programs (Haaren Hall, Suite 530). Applications can also be found here. Application Deadline: Friday, October 26, 2018. However, qualified applicants will be admitted on a rolling basis until places are filled. Thus, due to limited places, students are encouraged to apply early. Please note: An application fee of $50.00 is due at the time of application. Money orders, personal checks and cash are accepted. Applications will not be accepted if incomplete. More information can be found here. All non-CUNY students will need to pay an additional $65.00 at time of application due to a non-degree application fee. **Subject to change. Includes double occupancy accommodations, roundtrip airfare, visa costs, some meals, international health insurance, excursions and on-site transportation associated with program. Does not include tuition, some meals, personal expenses & excursions, local transportation not associated with the program, etc. Students should make an appointment with the Financial Aid Office, at their home College, to discuss the applicability of their financial aid to this program. Inquire at the Office of International Studies & Programs regarding scholarship information. If you are a JJC student, you can apply for the John Jay Study Abroad Scholarship (JJSAS) and the Student Travel Fund, among other JJC-sponsored scholarships. For more on scholarship opportunities click here. U.S.-wide scholarship opportunites can be found here. JJC students can contact Michael Scaduto for more information regarding the JJSAS, and general scholarship opportunities, at 212-237-8872 or email at mscaduto@jjay.cuny.edu.